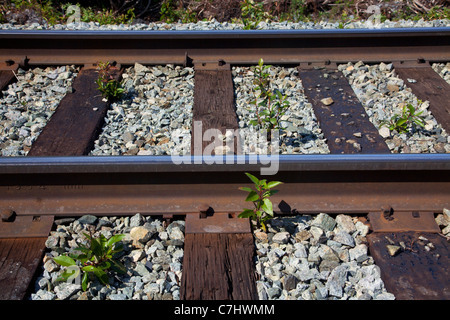 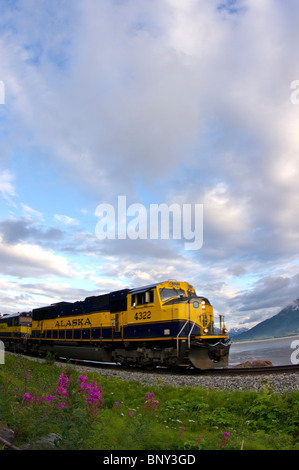 Plants growning in the tracks of the Alaska Railroad to Spencer Glacier, Chugach National Forest, Alaska. 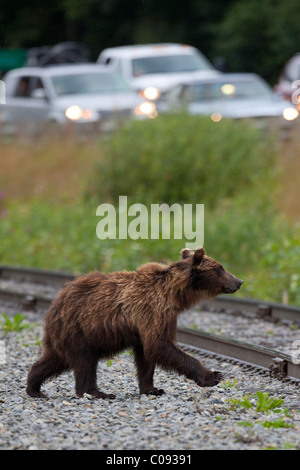 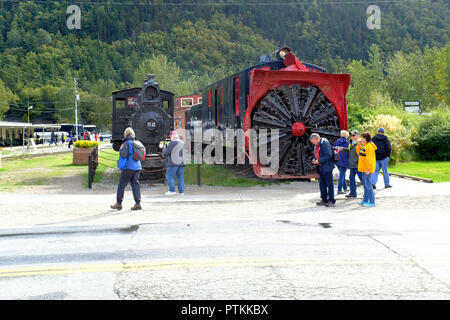 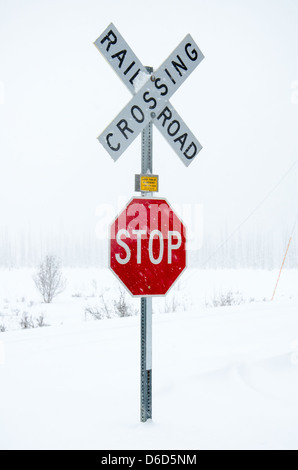 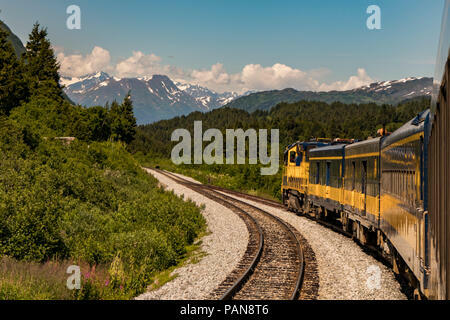 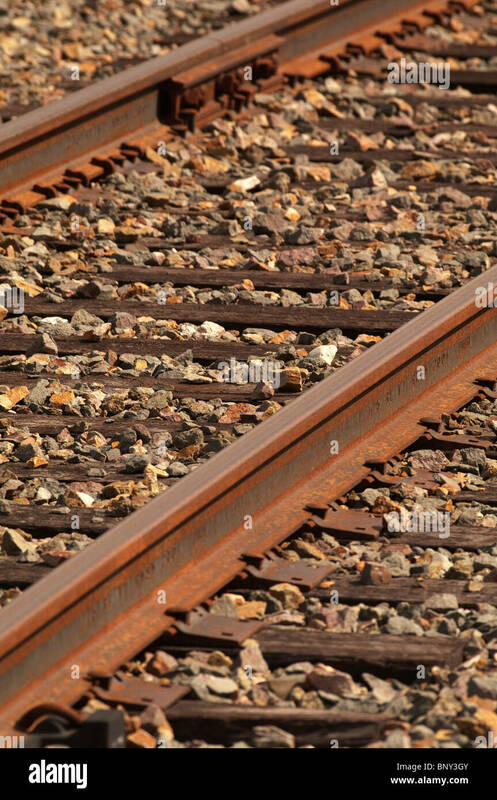 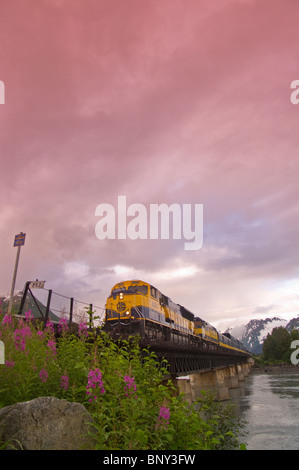 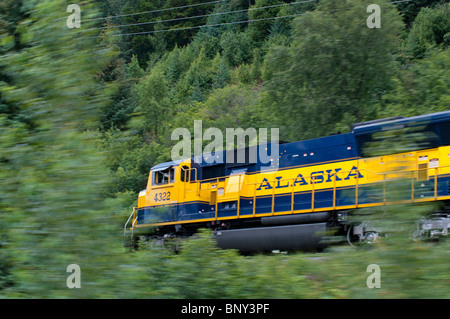 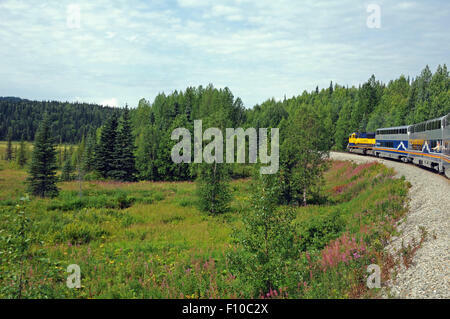 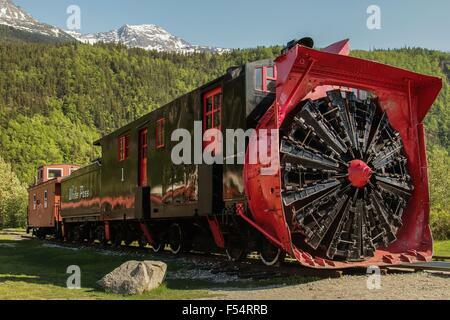 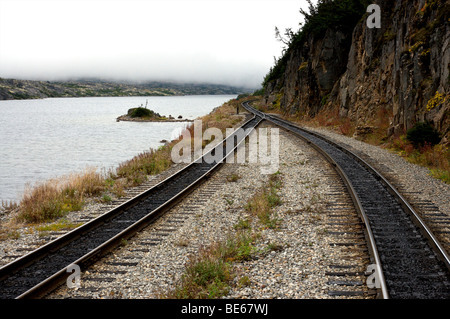 A bear crosses the tracks ahead of a train in Alaska, USA in summertime. 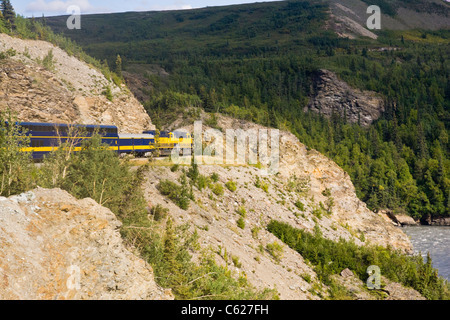 Alaskan Railroad train running alongside the Nenana River in Alaska.